A new personal project: Blessed Strength! Today I am so excited (and nervous!) to introduce a personal project that is months in the planning: my new photographic series, Blessed Strength. Blessed Strength is devoted to capturing the strength of mamas–in all its forms, physical, emotional, mental, and spiritual. Mamas are survivors, often unsung heroes, pillars of the family, molding tiny lives and melding disparate spirits into one beautiful whole called “family,” and I am passionate about chronicling powerful examples of maternal strength right here in our community. The series will be kicking off with three expectant mothers who all have been inspirational to me for a variety of reasons. All of them are models of strength, determination, and love, and all of them are beautiful. As the series progresses I hope to feature a variety of moms and even grandmothers, and I can’t wait to see how this series evolves in ways I don’t even foresee yet. But for today, I am thrilled to introduce our first Blessed Strength Mama, Kristy Fassio. 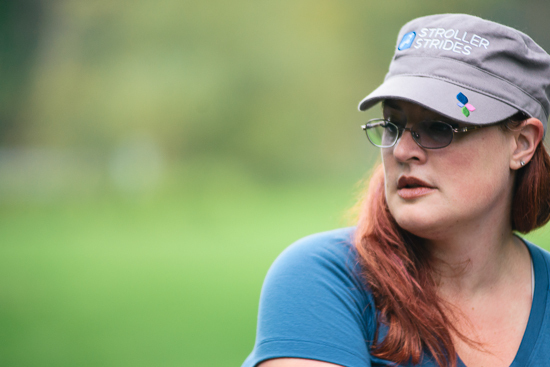 Kristy is the owner–and very active participant and teacher–of several local Stroller Strides franchises. 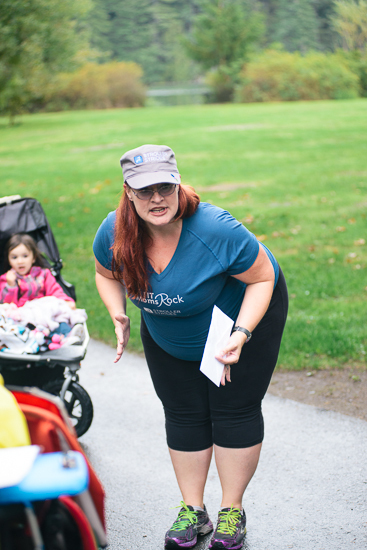 (For those of you who are unfamiliar with Stroller Strides, check out Monday’s blog post for a sneak peek into a class.) After meeting Kristy at a local fair and following her Facebook feed for awhile, what I was most struck by was that, in spite of being immersed in a fitness world that is sometimes rife with tough expectations, Kristy maintains a refreshingly honest, real and positive voice of self-acceptance and health of the whole person. 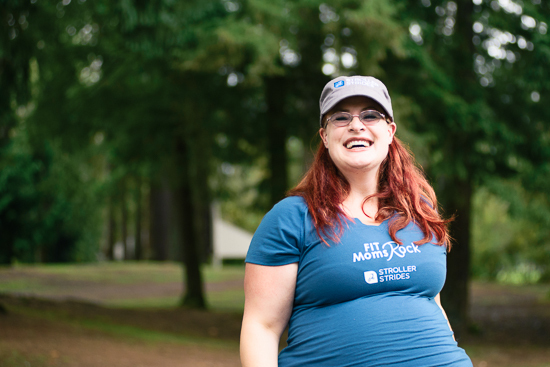 I approached Kristy a few months ago with my vision of photographing her teaching a Stroller Strides class, and I told her I hoped she would agree to be my first Blessed Strength Mama. At the time she agreed, telling me that she didn’t think she had ever seen a plus-size maternity model, let alone one being active, and that she was happy to be featured. But while it would be tempting to view my choice of Kristy as our first Mama as just a counterpoint to a fitness industry in which models are no bigger than a size 4 and even the expectant models are sporting a barely-there bump–no puffy ankles, widened hips, or stretch marks to be seen–that would be missing the real point. 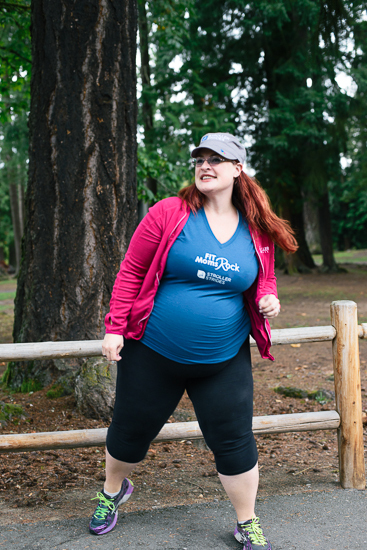 I didn’t choose Kristy because I thought she should be a poster-child for active plus-size mamas; I chose her because I think she should be a model for ALL mamas. 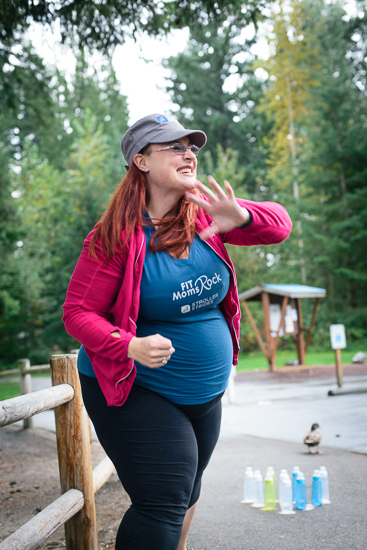 Kristy can break out ten burpees without breaking a sweat, teach a fitness class at eight months’ pregnant, and do pushups that would put a Marine to shame, but that isn’t even touching where her real strength lies. I chose Kristy because her strength of spirit is so immense. 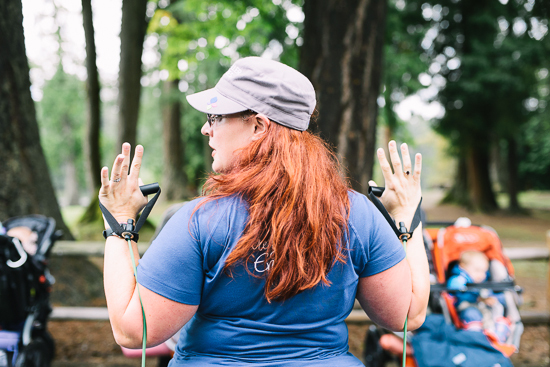 One thing I love about Kristy is that she freely admits that self-love and self-care is at times a struggle, and I think all of us mamas can relate to that. We all have some demons, those nagging little voices that whisper their little lies that we aren’t good enough in some way. But what makes Kristy so strong is that she acknowledges how hard it is to face those demons, and then she blasts them away with a rocket launcher. 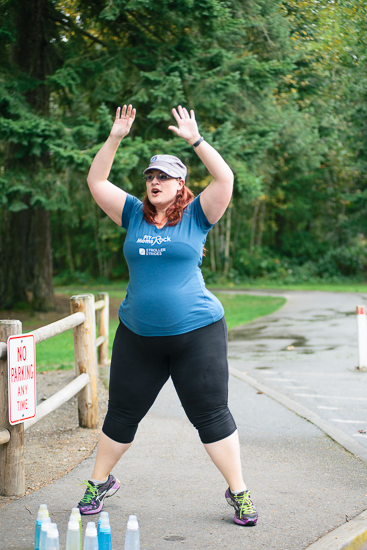 Kristy is careful to emphasize that the journey to being a strong mama isn’t about reaching a certain size, or BMI, or even completing a half-marathon (which she has, by the way), but it’s about learning to love the person you are RIGHT NOW, not the one you hope to be “someday.” And along the way, she helps other mamas to recognize their own strength as well. As I hope the images below show, Kristy shines. Even as merely an acquaintance, I can say that knowing Kristy has made me feel stronger and more empowered, and I can only imagine that her lucky friends and Stroller Strides pupils are that much more benefitted by having such a strong, powerful voice in their lives. Kristy, thank you for trusting me to tell your story. You are full of Blessed Strength indeed. This project is a real outpouring of my heart. I don’t usually ask for blog comments, but if the Blessed Strength project resonates with you, please tell me how it speaks to you. And if you know a strong mama, please let me know! I am hoping to grow this project throughout the upcoming months. 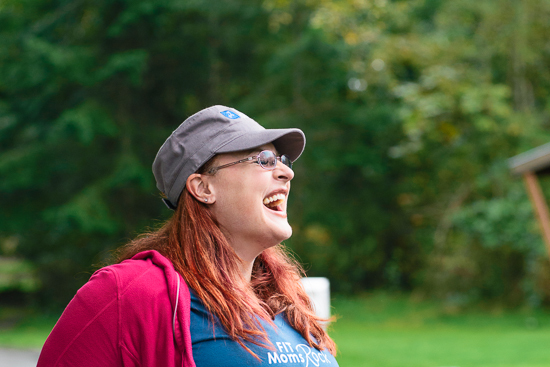 Beautiful post about an absolutely BEAUTIFUL woman, mother and inspiration to countless! Thank you for sharing this gem! It made my day!!! Love, love, love, love, LOVE!!! This is one one the most inspiring and beautiful things I’ve read in a very long time. This is the kind of thing our world need to see and hear. Keep up the amazing work Sara. And yes, please show us more Strong Mama’s!! This is so beautiful. Kristy, you’re amazing! Beautiful, Sara! I love this idea and can’t wait to see where you go with it.